Tuesday - Friday: 7:45 a.m. - 9:00 p.m.
Tuesday - Friday: 7:00 a.m. - 9:00 p.m.
Saturday: 7:00 a.m. - 3:30 p.m. IN MOST CASES WEBADVISOR MAY BE USED TO ENROLL IN CLASSES THROUGH THE OPEN REGISTRATION PERIOD. For Summer and Winter terms, once classes begin, WebAdvisor is NOT AVAILABLE to register or add classes. If you need to DROP A CLASS, you can do that using WebAdvisor once Priority Registration is over. 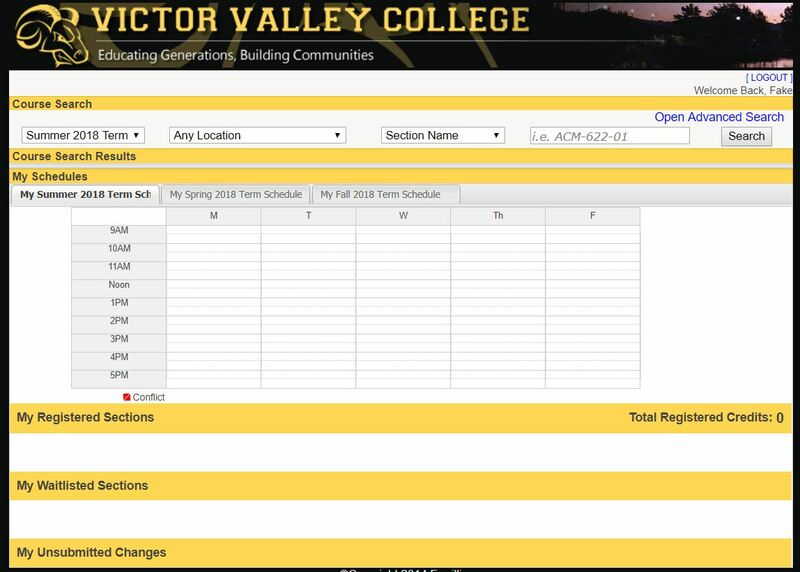 If you don't know the dates for Priority Registration for the current term, you can view the Registration Dates for current and/or upcoming terms here. For Fall and Spring terms, this procedure is effective beginning the 2nd week of classes. 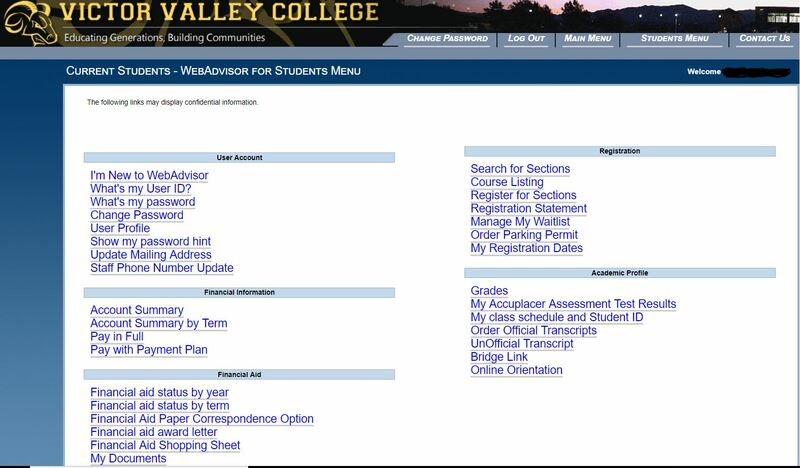 NOTE: WebAdvisor is best viewed in 1024 x 768 screen resolution.